We are very excited to announce that Syflex is now available on Modo! 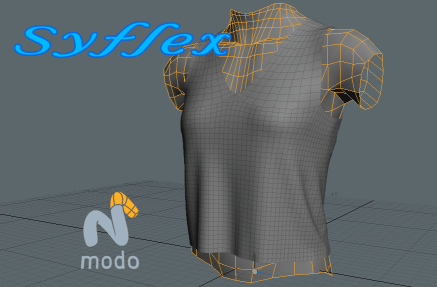 Syflex is integrated in Modo as a deformer. - Apply the syCloth deformer on a mesh object. Syflex implements an extremely fast and accurate solver. It gives all the necessary controls to easily animate any material: cotton, silk, denim or leather. 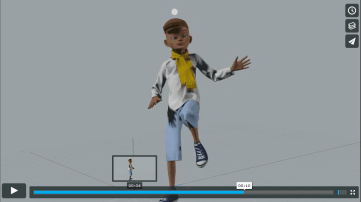 Its perfectly stable algorithm lets you animate characters performing any slow or fast action: walking, running, dancing, jumping ... It can also be used for soft bodies like tires, balloons or masks. Syflex can also be applied on curves to animate hair and grass. Garments can be assembled from panels stitched together with sewing forces. This sewing force also allows to open and close stitches like a zipper. This can be also used to tear a cloth. I'm genuinely impressed with the developers and the product. They've been so responsive to beta feedback and the performance when run against complex/dense geometry is remarkable. Really nice to see simulations running this fast! It's really exciting to think of the possibilities this will bring to the Modo community. I'm really impressed at how simple and easy it was to make my first syflex scene. It's very easy to understand and learn. It's amazing to see the simulations running in real time! 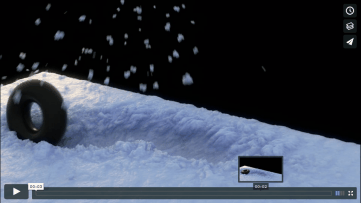 Here are a few animations showing Syflex in Modo. 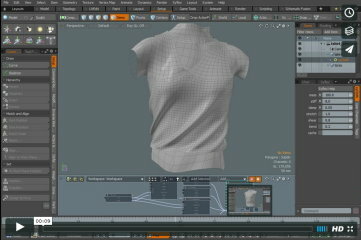 Simple simulation of a cloth running in Modo. The animation is not cached. 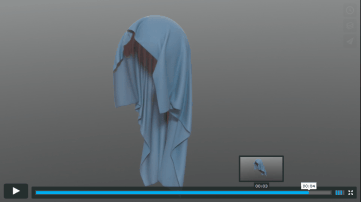 Simple example showing sewing of a cloth in Modo. Notice the zipper animation at the end. 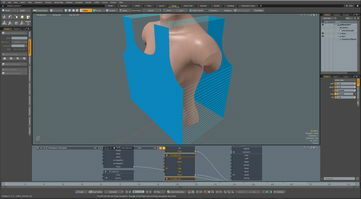 One of the first test scenes from Alex Friderici (eyelandarts.com) beta testing Syflex in Modo. Simple test from Ashley T. testing Syflex in Modo. Cloth has 16640 points, collision object has 6144 faces. Average simulation time per frame: 0.5 seconds (4 core i5). Another test from Alex Friderici (eyelandarts.com). The snow is Syflex, the tire is modo's dynamics. Dress - test from Olivier Drion testing Syflex in Modo. Hair is also animated with Syflex (as curves). Soccer player from Olivier Drion. The scene contains three layers of clothes: pants, Tshirt and scarf. Each layer is used as a collision object for the next layer.